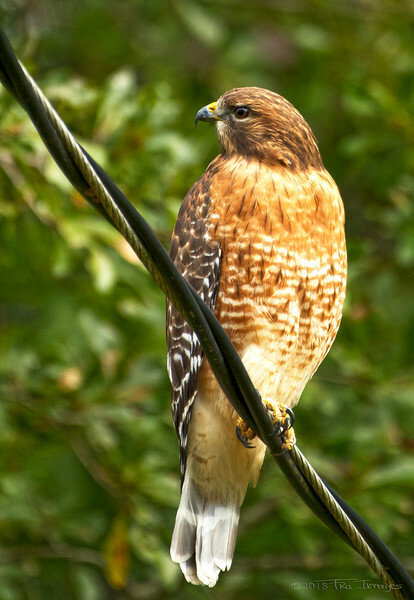 A red shouldered hawk sitting on a power line, apparently unconcerned with my presence! At least it wasn't oblivious to your presence! Nice shot! Beautiful bird. It probably regards humans as slow and stupid.